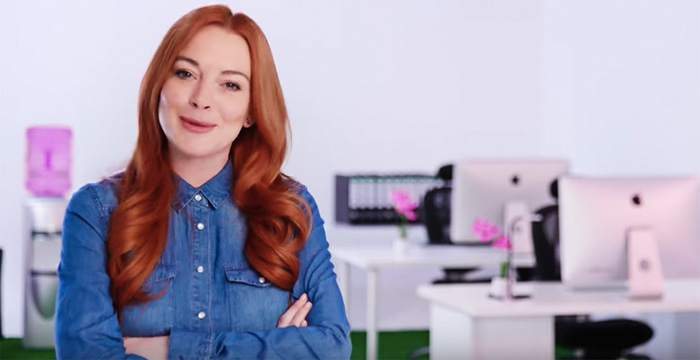 Lindsay Lohan has become the unlikely new face of a legal directory. The Mean Girls star, who has had more than her fair share of brushes with the law, is now the official spokesperson of US website Lawyer.com, a law firm and lawyer search engine service. Indeed, Lohan is a bold (or perhaps clever) choice for the ad given her recent run-ins with the law. The actress — who also starred in films including The Parent Trap and Freaky Friday — was first arrested back in 2007 for driving under the influence and possession of cocaine after losing control of her car in Beverly Hills, California. Since then, Lohan has been arrested on several other occasions and has even served time behind bars after failing to attend her court-ordered weekly alcohol education classes. It seems our cousins across the pond have a penchant for more liberal legal services marketing. Take Texas lawyer Bryan Wilson by way of example. Known in legal circles as the Law Hawk, Wilson’s string of viral ads feature exploits including a jet-ski stunt, a flamethrower and Wilson catching a fish with his bare hands. City law firms, take note. She could have been amazing with her potential. Such a shame. Texas Law Hawk Christmas edition: Can the police legally search Santa’s sleigh?